System integrator "Jardine One Solutions LTD (Macau)" recommended One Central Macau the award winning ACTAtek Biometric Fingerprint terminal. ACTAtek's optical fingerprint sensors as standard for accurate and reliable recordings for long periods of use. ACTAtek's all in one solution and standalone server setup saves time and costs from purchasing additional equipment and unnecessary hardware. Terminal installed on the One Central's network system to the main router hub with static IP address. ACTAtek embedded web-based software built in the terminal allows simple management of employees, event logs and database exporting facilities on a standard web browser. 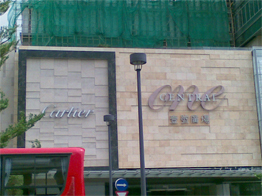 One Central was highly satisfied with the ACTAtek Time Attendance and Access Control solution that was provided by "Jardine One Solutions LTD (Macau)" and would certainly recommend the solution to others.